The Houston Marine & Energy Insurance Conference provides financial support to numerous educational institutions/programs to assist in providing scholarships and grants furthering the education of students studying marine and energy insurance and admiralty law. Over the past 15 years, the Conference has donated over $1,000,000 in program assistance, scholarships and library assistance to a number of law schools and universities to aid their insurance programs and support their marine and energy law curricula. Every year, the schools we support send student delegates to attend the Conference free of charge. For many, this is their first exposure to the business of marine and energy insurance and law and provided them with a venue learn about the different aspects of the business and network with established insurance professionals from around the globe. 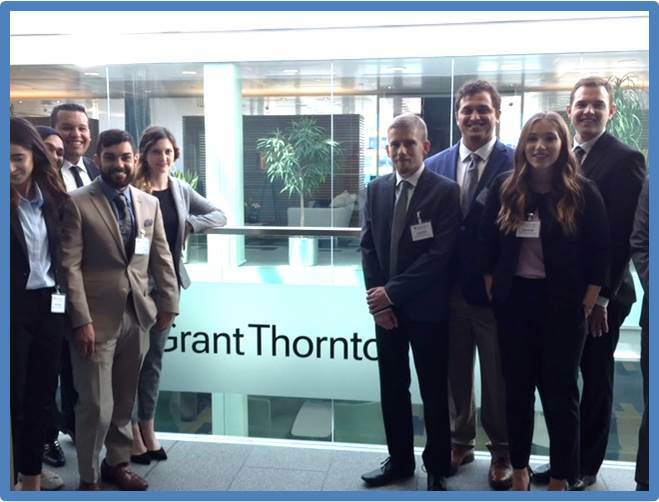 Many of our former student delegates go on to pursue careers in marine and energy insurance and law. Below are just a few of our Student Success Stories. To see the different schools and programs that HMEIC supports, click here. Ross Mizell first attended HMEIC as a student. He now works as a Lead Analyst in insurance at Cheniere Energy Inc. and says the conference provided him with a comprehensive view of the marine and energy insurance industry. 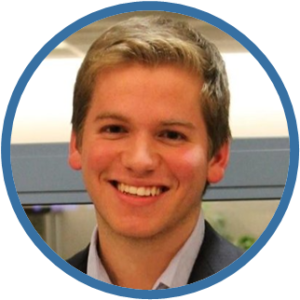 Matthew Maxwell first attended HMEIC as a student at The University of Houston Downtown. He now works as a Senior Adjuster in the Marine Claims Division of Tokio Marine America where he handles cargo claims. 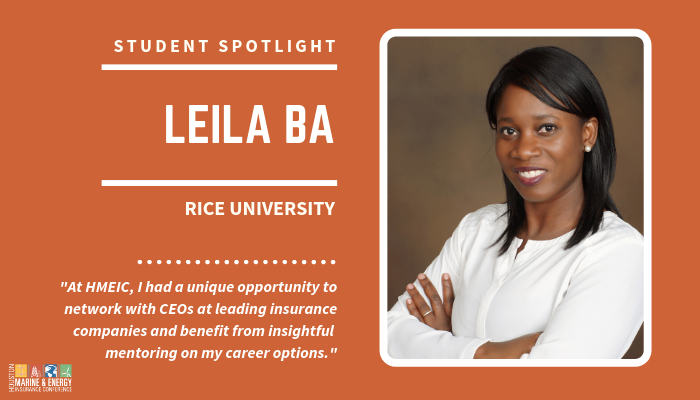 Leila Ba first attended HMEIC as a student in 2014. She now works with AIG and says the conference played an important role in helping her network and prepare for her career post graduation. 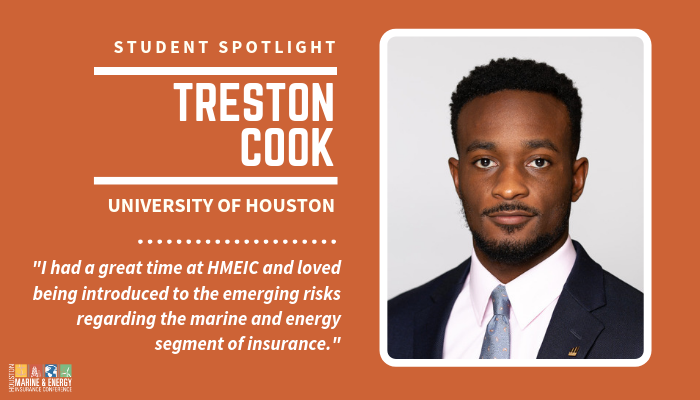 Treston Cook first attended HMEIC as a student at @University of Houston-Downtown. 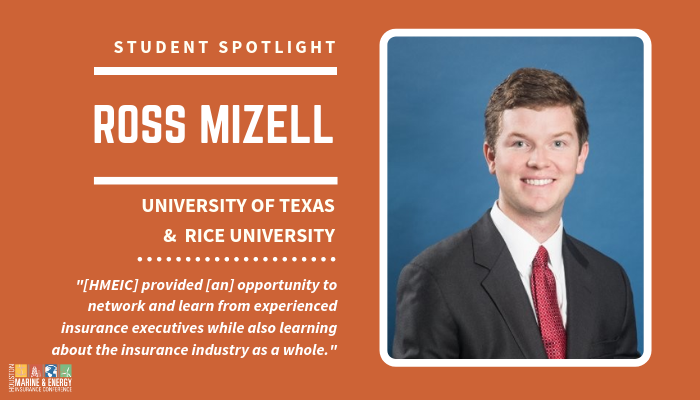 He now works as a Senior Underwriting Specialist at @Markel and says the professionals he met at the conference were helpful and welcoming to him as a student attendee. 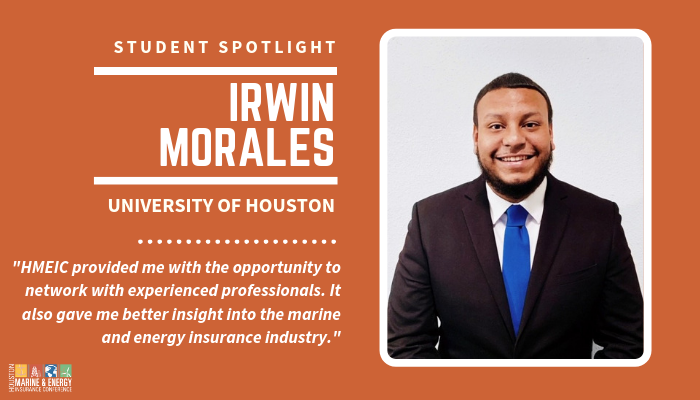 Irwin Morales, a graduate of the Insurance And Risk Management program at the @University of Houston-Downtown, attended HMEIC as a student in 2014, 2015, and 2016. He is currently a Commercial Lines Account Technician at @HUB International and says the conference motivated him to pursue a career in marine and energy insurance. 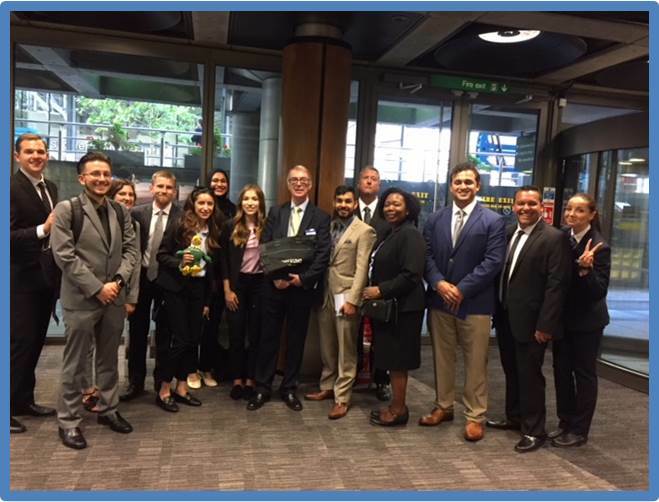 Using grant money provided by HMEIC, the University of North Texas College of Business held its first faculty-led risk management and insurance study abroad course this summer, enabling 13 students to expand their understanding of global risk management by spending 15 days in the UK. 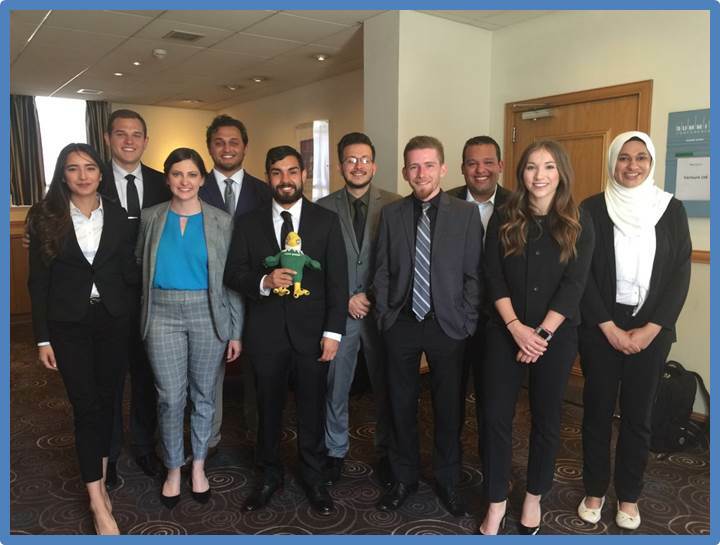 The student group visited Lloyds, as well as several other companies to gain a better understanding of each one’s particular risk management strategies and challenges. Companies visited included Visa, Grant Thornton and Weir Company (a manufacturing and engineering firm in Scotland that services vessels). Camilo Escobar, hailing from Medellin, Colombia, graduated from St. Mary’s in May 2017 with a BA in Finance and Risk Management and a minor in Mathematics. During the course of his studies he took courses in Risk Management, Enterprise Risk Management, Employee Benefits, Business Law and Legal Environment of Business. After attending the HMEIC conference in September 2016, Camilo knew he wanted to be part of the marine and energy insurance industry and he is scheduled to start Marsh TRAC program – Marsh’s two-year rotational training program where associates rotate through two of the three areas of the insurance broking business: Client Management, Client Advisory and Placement – in July of this year. HMEIC was my first insurance conference and it initiated my interest in the industry. I really enjoyed networking with business professionals, getting good advice as well as listening to interesting and exciting topics in the industry. Although I was initially a bit intimidated, the networking was easy after you get past that first conversation and that intimidation factor kind of goes away. I met Steve Weiss (long-time HMEIC Board Member) and he introduced me to many brokers and underwriters. I got business cards from a variety of people ranging in all areas of the industry. After I attended the conference I just knew that this was the industry that I wanted to work in. From the advice that I got at the conference, I was able to be more confident when speaking to business professionals, but more importantly, I gained a much broader perspective on the industry that one can´t get from studying risk management or insurance at school. I feel that a lot more students would become interested in our industry if they attended conferences like HMEIC. – Camilo Escobar, St. Mary’s University Class of 2017, 2016 HMEIC Student Attendee. Ted Dimitry, a native Houstonian, is well known to many marine and energy professionals, both as a marine and energy insurance broker and the recent past Chairman of the HMEIC. 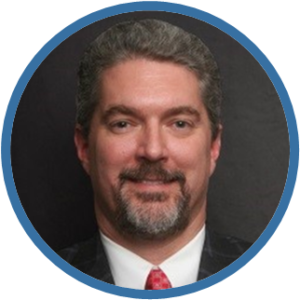 Presently, he is a Vice President within Alliant’s Energy & Marine Group in Houston, where he works as both a Producer and Account Executive. Ted is also a Unit Manager – which means he oversees the operations of the Alliant Energy & Marine team in Houston. What many people don’t know, however, is that Ted attended the HMEIC as a student in 2001. 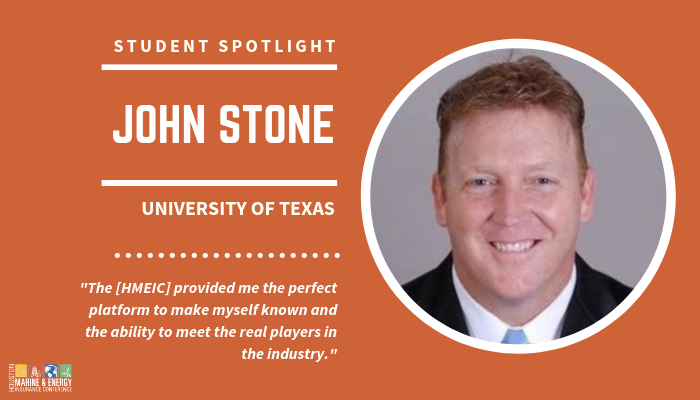 He was also a two-year recipient of the Houston Marine & Energy Insurance Conference Academic Scholarship while getting his MBA. He is living proof of the opportunities afforded students who attend the HMEIC and he is clearly one of the Conference’s success stories. I got my BA from Washington & Lee University in Lexington, Virginia in 1995. My father was a maritime lawyer in both Houston and New Orleans and I had originally intended to follow in his footsteps. Instead, after graduation, I went to work as summer intern with Alexander & Alexander (“A&A”) between my junior and senior years of college, which evolved into a six-month “secondment” to A&A’s London subsidiary following graduation. After returning to Houston in 1996, I worked in the insurance industry for five years before returning to school for my MBA. My father attended HMEIC throughout his career, so I grew up knowing about it, but I first understood its importance while working in London in 1995, when a number of my colleagues returned from HMEIC talking about the networking, speeches and presentations that had occurred in Houston earlier that week. I attended Rice University’s Jesse H. Jones Graduate School of Business in Houston for two years, graduating with a Master’s in Business Administration (MBA) in 2002. It was while I was an MBA candidate at Rice that I attended the Houston Marine & Energy Insurance Conference as a Student Guest. My favorite part of attending the conference was the networking that took place during the student reception and cocktail parties and the connections I made were essential to the development of my career (plus, it was a lot of fun!). While I had an advantage because I already knew people in the insurance industry, attending the Conference enabled me to reconnect with a number of key contacts who facilitated my re-entry into the Marine and Energy insurance sector. 16 years later, the contacts I have made through the Conference also opened countless doors for me in my career. The Houston Marine & Energy Insurance Conference remains THE premier educational and networking event of our industry segment worldwide. Senior executives have come from all over the world to speak at the Conference every year – and have done so for over 50 years! Attending the Conference has bolstered my career tremendously – not only when I was as Student Guest but also throughout my career as an insurance broker. I have been to many other marine/energy/insurance conferences over the years, and while they all bring different value propositions and can be beneficial, I think that HMEIC brings a “higher level” of both networking and content to its attendees. – Ted Dimitry, Rice University MBA in 2002, 2001 HMEIC Student Attendee. Over the past 15 years, the Houston Marine & Energy Insurance Conference, a 501(c)(3) organization, has awarded over $1,000,000 in program assistance, scholarships and library assistance to a number of law schools and universities to aid their insurance programs and support their marine law curriculum, making it one of the leading scholarships in the areas of marine and energy law and insurance. 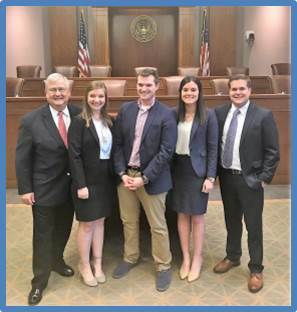 We currently support 12 educational institutions/programs, which provide scholarships in insurance education, admiralty law courses, law libraries and admiralty moot court competitions.